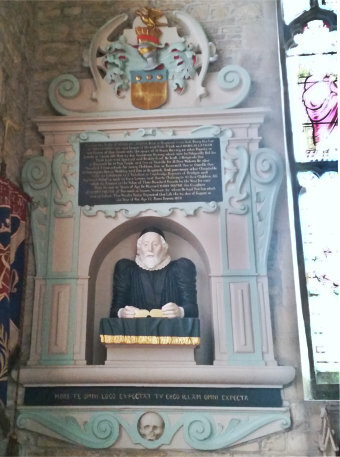 Nicholas Latham, the founder of our charity, was born in 1548 in Brigstock, Northamptonshire. His father was Keeper of the Great Park for Lord Edward Montagu of Boughton House, considered today to be one of Britain’s grandest and best preserved stately homes. When quite young, his family moved to Rushden, attending the Grammar School at Higham Ferrers, then becoming a scholar of Queen’s College, Cambridge. Returning to Northamptonshire, he became Rector of St Andrew’s Church, Barnwell at age 21. 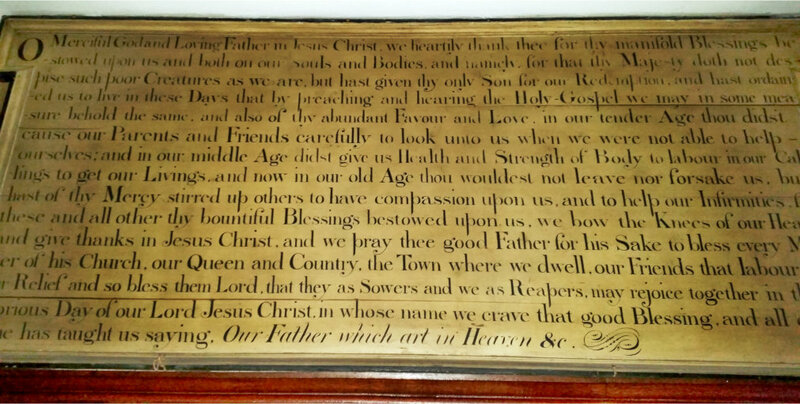 He married Mary Foster of Burwash, Sussex when he was 45 and they had one child who sadly died in infancy. He remained in Barnwell under the patronage of Lord Montagu until his death aged 72 in 1620. Parson Nicholas Latham must have been a man of great compassion and determination, whose response to the distressing state of the poor commonly found in 16th/17th century Britain galvanised him into action. Using a large part of his annual stipend, he spent almost half his life establishing almshouses (known as hospitals) and schools in the local district. Shrewdly, he also purchased property and land to generate income to sustain these ventures – being a hospital in Oundle and Barnwell, and schools in Barnwell, Oundle, Brigstock, Hemington and Weekly. His Oundle Hospital was founded on 15th May, 1611, where he drew up a constitution with orders and statutes to enable efficient governance of the hospitals. Today, there are specific criteria for Resident eligibility, for example. At that time, a ‘hospital’ was a place of refuge for the poor, disabled or elderly, unlike today where we associate this word with medical provision. At one end of the hospital site, The Blue Coat School was housed, originally set up for ‘thirty Poor men’s sons chosen out of the town of Oundle‘ which is no longer in operation today. However, Parson Latham’s Hospital manages an Educational Foundation awarding grants towards the costs of further education. This summary gives only a brief window into the extensive and rich legacy that Parson Nicholas Latham has left us. The full Latham Story – an account of Latham’s Charities of Barnwell and Oundle, and of His Schools – is available as a published booklet, priced £5.99. If you would like to purchase a copy, please contact either the Oundle Bookshop on 01832 273523, or the Oundle Museum on 01832 272741.